A question that is frequently asked is how to select effective and results oriented keywords for marketing campaigns such as Social Media, Search Engine Optimization or Paid Advertising. All these types of marketing tactics use keyword phrases, which a company has to decide upon. When working with a professional marketing agency, the agency will assist the company with the process of identifying the right keyword phrases that are most relevant to the company’s offering such as products, services, and solutions. Keywords are what people type into search engines such as Google to find products, service providers, and answers. For companies to be found in those searches, a company has to market themselves for those keywords. SEO is the most common method used to be found in search engines for specific keyword phrases. Keyword phrases are not just for marketing campaigns, but also enable a business to focus their content creation and publishing of the content. Keywords can guide a business in many ways. Therefore, it is very important to gain a good understanding on what keyword phrases are important for the business. Selecting effective keywords for marketing campaigns is critical to the success of the campaign. Here are some tips on how to pick the right keywords. Single or two word keyword phrases tend to be very competitive and take time to rank for in search engines. 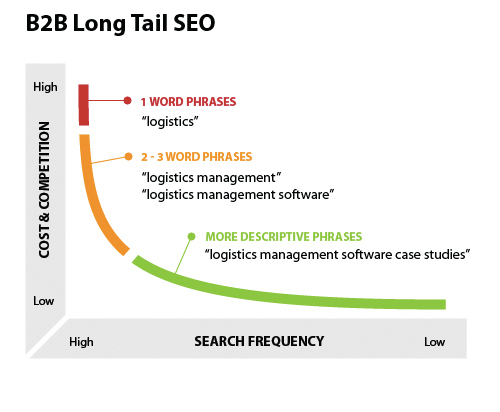 Companies should choose long-tail keywords, which tend to be 3-4 word keyword phrases. For example, a skin care company may choose the keyword phrase “acne facial night cream” over the keyword phrase “acne cream” which will be certainly more competitive. Also, the more specific the phrase is the better the chances for conversion. The question is often, should a company vary keywords within their campaign and the answer is certainly yes. Not everyone searches the same way or uses the same keywords. A business should use repetitive keyword phrases to cast a larger net online so to say. For example, a skin care company may use the following repetitive keyword phrases for their campaign to be more effective. In other words, a business should use a variety of keyword phrases that covers most of the ways the potential consumer will search online. It is never advised by professional marketing experts to just pick all competitive keywords for a campaign. The results will be slow and not satisfactory. For best results, a business must keep a balanced campaign. What does this mean? Well, it means that a company should pick not just competitive keywords, but have a more balanced approach. For example, a business that is about to start a 30-keyword SEO campaign should not have all 30 keywords be competitive. Rather, the business should have 10 competitive, 10 medium, and 10 low competitive keyword phrases used in their campaign.